Piotr (b.1989, Poland), completed his BA (hons) Fine Art at Central Saint Martins College of Art and Design in London, where he lives and works. His work has been shown in numerous public insitutions, and private galleries including l'etrangere gallery (London), ICA (London), Whitechapel Gallery (London), Kasia Michalski Gallery (Warsaw), and Liverpool Biennial: Festival of Contemporary Art, Liverpool. The series of prints made for the SixtySix Hotel are based on the collages created by the artist and to reflect the hotel’s motto: “Enjoy the unexpected”. The collages were inspired by found images from the iconic Polish publications of the 1960s, “Ty i Ja” (You and Me) and “Świat” (Life), which depicted typical local and international urban scenes, fashion, lifestyle and celebrities. The works are completed by the inclusion of an unexpected element, which at first sight may seem random or unfitting, but which invites a new narrative into the moment captured in the photograph. 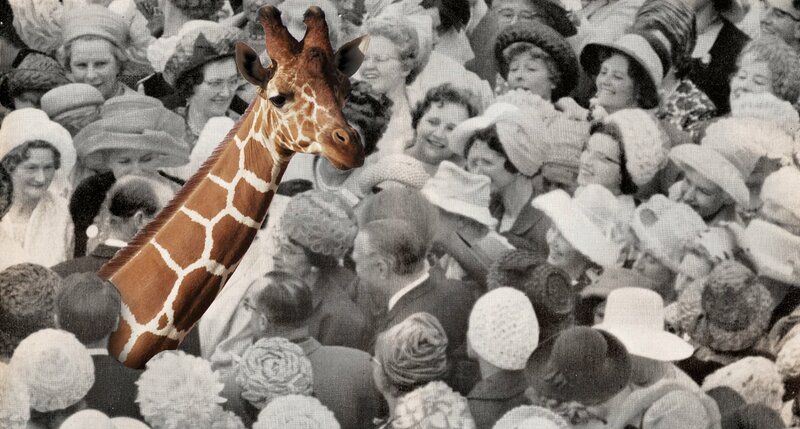 The artist composes humorous and unexpected montages thus re-juvenating and ‘re- discovering’ old photographs. The creative process is completed by the artist’s unique intervention in the form of a colourful splash of paint. Kuba in his photographs tries to reflect the beauty of the world around us, whether it is a mountain lake, a historic palace, a city skyline, or a modern architecture. A series of photographs created for the Hotel SixtySix present details of Warsaw, showing its modern face.